Psyched from their success in Madrid, the Lasap Filipino team unsuspectingly walked the corridors of culinary greatness in Paris. 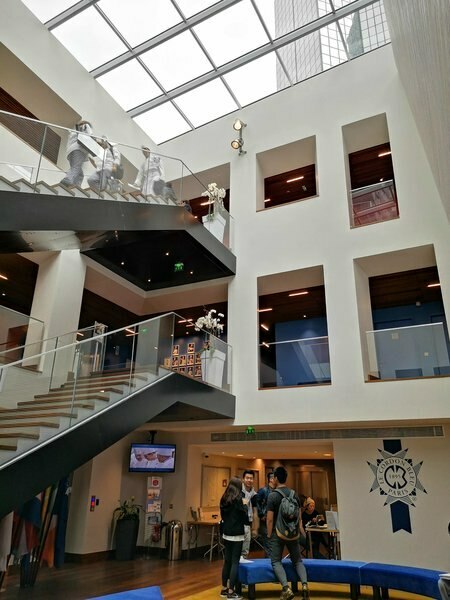 Catherine Baschet, Events and Communications Coordinator, gave the team, headed by culinary stylist and consultant Chef Myrna Segismundo, the grand tour of this renowned school’s inner workings before their next mission from the Philippine Embassy in France, the Department of Foreign Affairs (DFA) and the Department of Trade Industry (DTI). 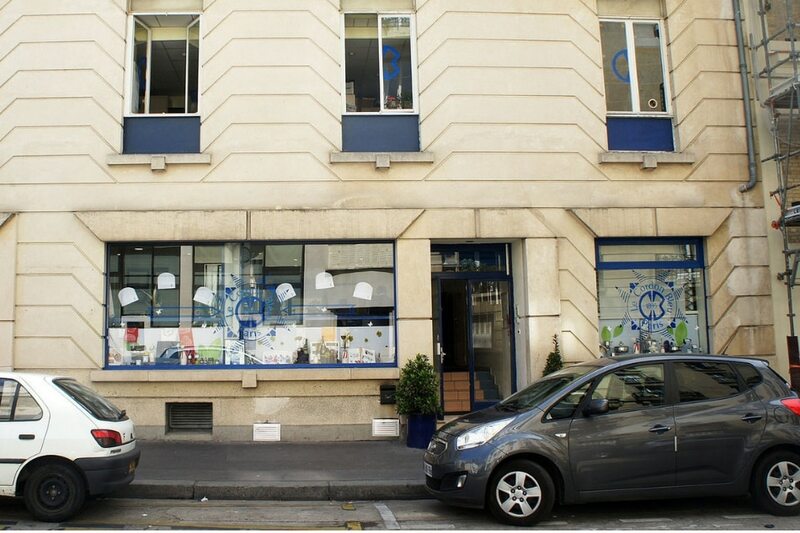 Le Cordon Bleu Paris, I’m frying soon! The mission is to introduce authentic Filipino ingredients and cooking to students and their mentors by demonstrating the best methods for preparing kinilaw, adobo, and turon. “You must see the rooftop garden!” Catherine gushed. Up the stairs, past a heavy door, lush greenery opened up before us. 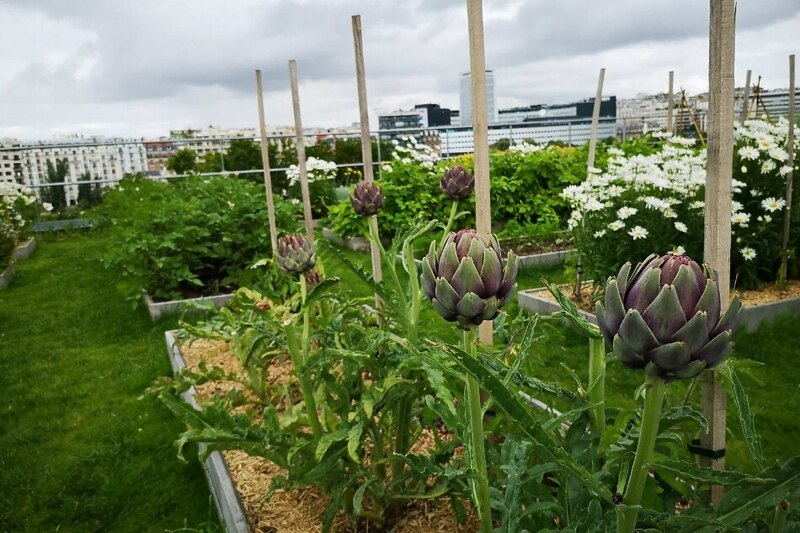 The school grows its own organic ingredients—fruits, vegetables, and herbs set against the Paris skyline. I was amazed at the school’s nod to eco-consciousness and sustainability. While everything was sleek and modern at this culinary institution, the groundwork for its innovations are deeply rooted in tradition. Simple ingredients, letting their natural flavors develop, and capturing their essence through proper technique means doing food right at Le Cordon Bleu. 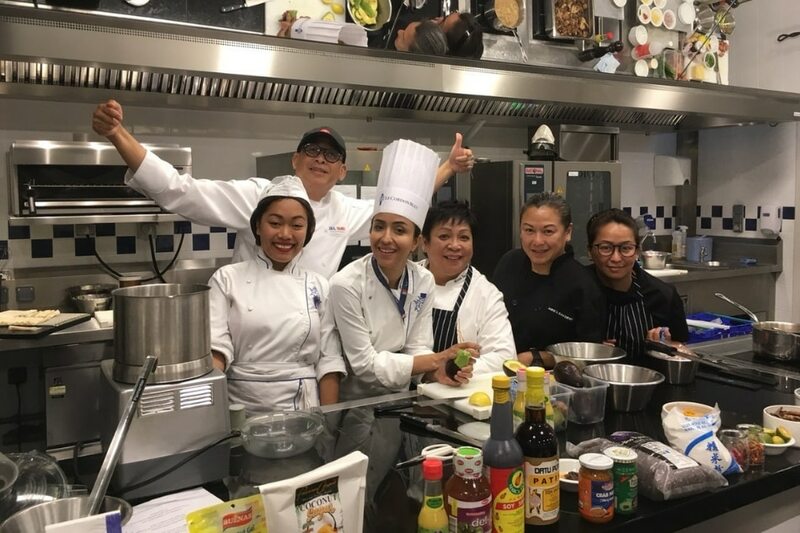 This has been Chef Myrna’s battle cry, as an advocate for the preservation of traditional Filipino cooking, throughout this journey.“Yes, explore and innovate with food.” But, Chef Myrna added a word of caution on fusion cooking. With all the experimenting and tweaking going on, overdoing leads to a dish losing its identity. “Don’t forget what it’s really supposed to taste like,” she reminded. It was fitting for the mission to have been done here. This incidental cook was lucky. How many Filipinos get to share a slice of their food culture at this revered establishment? None, apparently, until this team happened along. 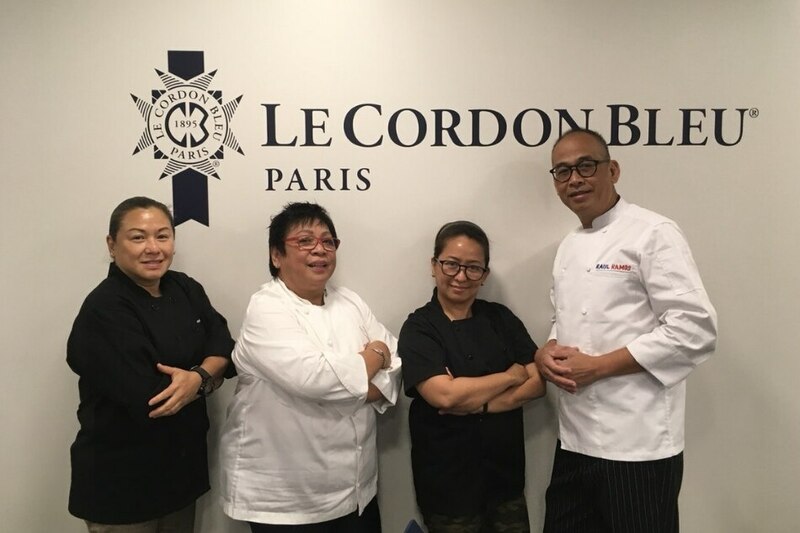 Lasap Filipino has the distinction of being the first to feature Philippine cuisine at Le Cordon Bleu. On demo day, the announcement was made. 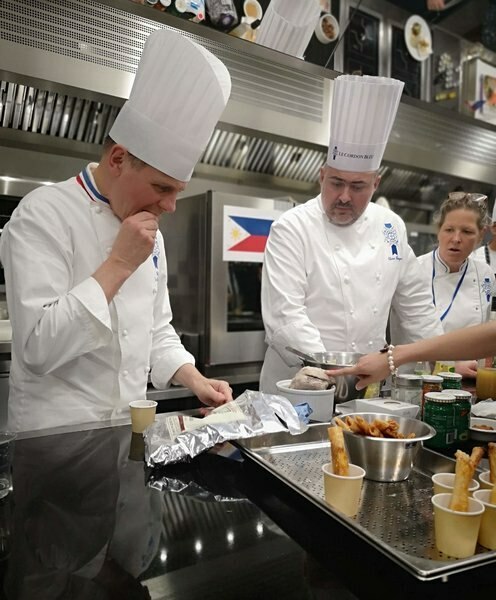 Le Cordon Bleu, in partnership with the Ateneo de Manila University, will introduce its first degree program in the Philippines come September. The LCB Institute in Ateneo will specialize in Hotel and Restaurant Management. 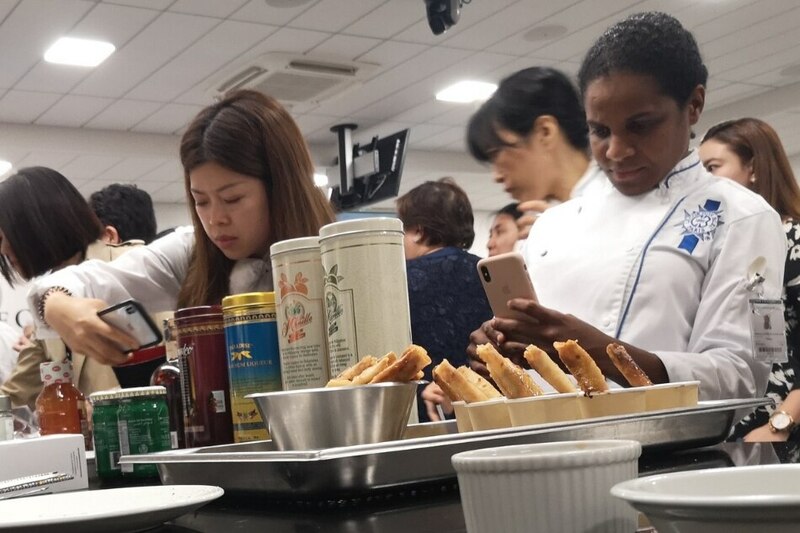 Chef Myrna herself was invited to be part of the industry advisory board in Manila. Another headline of the day was how Filipino flavors—salty, sour, bitter, and sweet—visibly entertained and impressed our LCB audience. Charles Cointreau, son of the school’s president (we’re talking about the family known for Rémy Martin here); Eric Briffard, LCB’s Director of Culinary Arts; Olivier Guyon, Executive Chef and instructor; Maria Theresa P. Lazaro, Philippine Ambassador to France; Leo Herrera-Lim, DFA ASEC; Madame Baschet, and LCB mentors, students, and invited media were laughing at Chef Myrna’s antics throughout her lecture. 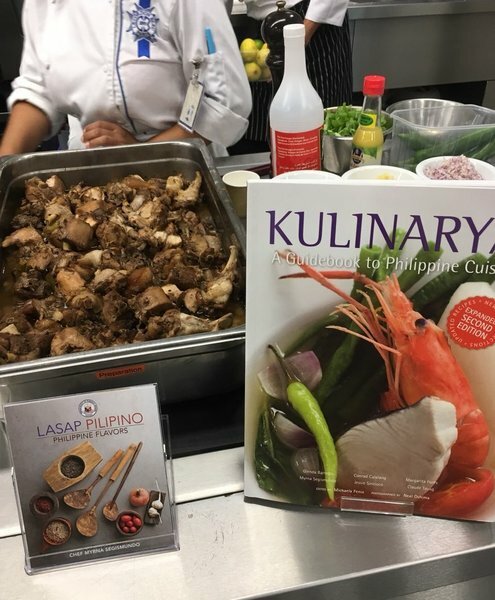 In her element, Chef Myrna described the Filipino ingredients we brought for this task, explained each step of the dishes’ preparation, and spoke of her beloved Filipino flavors. She intimated once that while she loves being around eager students, teaching left her drained. 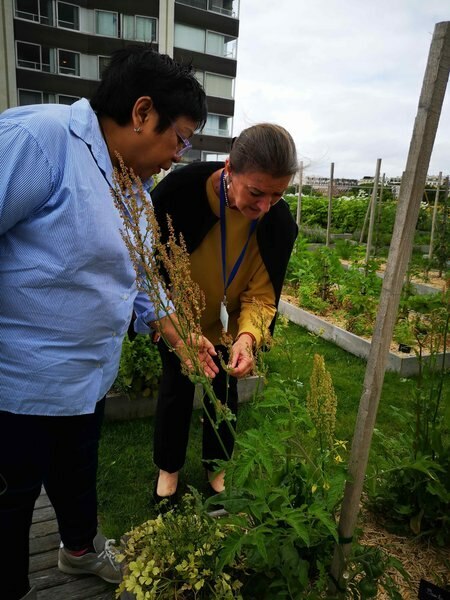 “I don’t know why I do this, I should be retired!” But the passion for Filipino food culture always draws her back to the frontlines of sharing her expertise and experience. Chef’s “cuisine of freshness,” or the play of flavors condensed in her dishes, was a revelation. From the sidelines, I observed how the flavors salty and sour seduced our hungry audience. Vinegar, soy sauce, and kalamansi stirred up such excitement that repeated helpings of the kinilaw and adobo were quickly consumed. Bitter and sweet found a happy common ground in the chocolatey turon. Once again, a crowd-pleaser. Thank God, the bananas were sweeter in Paris, and that there was enough to go around (five times over, in fact)! Butterfingers here accidentally dropped a tray of 40 at the height of the demonstration. I would like to think no one heard the clatter. I’m pretty sure, though, that the expressions of delight over Filipino flavors were heard loud and clear. Plus the applause for the Lasap Filipino team resounding in our hearts. Well, Le Cordon Bleu in Paris, that’s a wrap for my turon. We move on to Lisbon.